The India Club Restaurant and Strand Continental Hotel at 143 to 145 Strand, London are presently subject to a planning application for comprehensive modernisation. As operators of the hotel, bar and restaurant we are opposing these redevelopment plans. We want to preserve the building in its current condition and also preserve the rich cultural history it represents. India Club was started by Krishna Menon, India's first High Commissioner to the UK, with founding members being Lady Mountbatten and Prime Minister Jawaharlal Nehru. It was a meeting place for leading writers, intellectuals and politicians associated with India's independence. To this day, it has retained it's original features and still stands very much as it did in the days of the post-independence movement. It is a crucial part of the joint heritage of the UK and India. This is a petition to Westminster City Council to reject the planning application submitted for 143-145 Strand, London, WC2R 1JA (reference: 17/08077/FULL and subsequently 18/06798/FULL). We would urge anyone interested in the building and its history to make their views known as quickly as possible by signing this petition. A second planning application for 143-145 Strand which houses the India Club, has been submitted and is currently being determined (Westminster Planning reference: 18/06798/FULL). 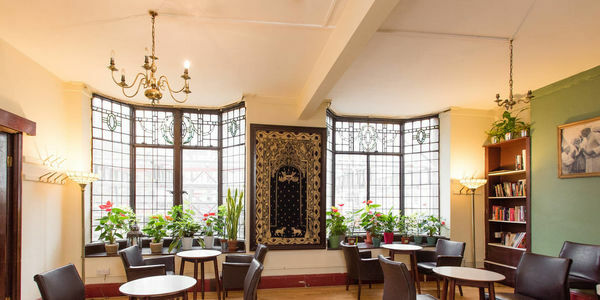 Historic England is currently assessing the historical importance of India Club for potential listing status. We are urging anyone with information on the history of the India Club and past associations they, or family members, have had with it to get in touch with that information and tell us their stories. Ideally we need to hear from people as soon as possible.